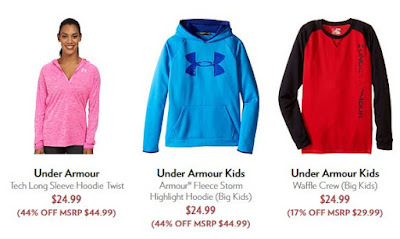 Right now, 6PM is having a BIG Under Armour Sale and prices are starting at just $5.99 on a great selection of apparel, shoes and accessories. Shop early for the best selection- sizes are limited! Shipping is also free when you spend $50 or purchase two items.